During testing for Ebola a 5-year-old boy developed a fever in Bellevue Hospital Center after returning with his family from Guinea, one of the West African countries devastated by Ebola. The boy did not have a fever when he was admitted to the hospital Sunday night, but developed one at 7 a.m. Monday. Hospital staff is conducting a test for the deadly virus as well as other childhood illnesses. Health officials are tracking who the boy has come in contact with and has quarantined several family members already in their apartment in the Bronx. New York Gov. Andrew Cuomo and New Jersey Gov. Chris Christie announced last Friday an already enforced new mandatory quarantine policy for those traveling from the three affected West African countries who had contact with Ebola patients. A nurse who returned from Sierra Leone complained that she was made to feel “like a criminal” when officials quarantined her upon arrival. She tested negative for Ebola and is being released. Cuomo amended that those who had contact with Ebola but didn’t show symptoms would be quarantined at home with paid leave and visits allowed from family and friends. Bellevue is one of the state’s designated Ebola treatment centers where Dr. Craig Spencer, New York’s first Ebola victim, is currently being treated. 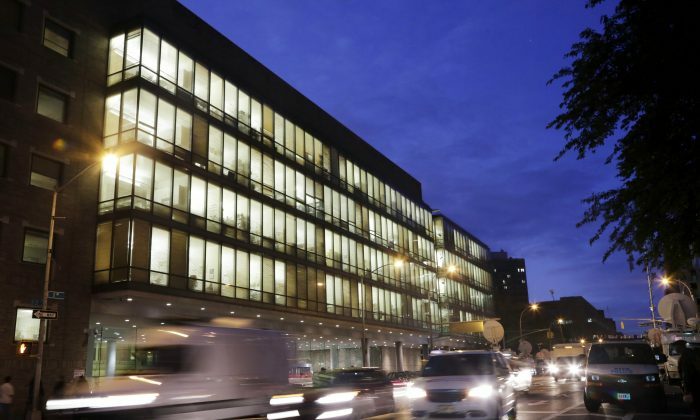 NEW YORK —Health officials say a 5-year-old New York City boy who recently traveled to West Africa and had a fever does not have Ebola. The boy returned from Guinea with his family Saturday and felt sick Sunday, so his parents called 911. Emergency responders in protective gear took him and his mother to Manhattan’s Bellevue Hospital. The boy developed a fever Monday. He tested negative for Ebola. Officials say they’ll do further tests in an abundance of caution and he’ll stay at the hospital until those test results come back. His mother is doing fine. A doctor who also was in Guinea remains in serious but stable condition after testing positive for Ebola last week. He had been treating patients with the virus. Four people have been diagnosed with Ebola in the U.S.
Good news! The five year old boy from The #Bronx with a possible #Ebola infection has tested negative for the virus! Spread the word!